Along the Ohio River, less than an hour east of Evansville, two beloved icons are celebrated. Santa Claus, Indiana, is named after the jolly ol’ fellow in red and is home to many Christmas-themed finds. The young at heart love celebrating Christmas during the summer here. Start writing letters to Santa at the Santa Claus Museum & Village, and indulge in stocking-worthy candy at Santa’s Candy Castle. Holly, jolly Christmas spirit is abundant here. But, Santa isn’t the only celebrity in the area who wears a recognizable hat. 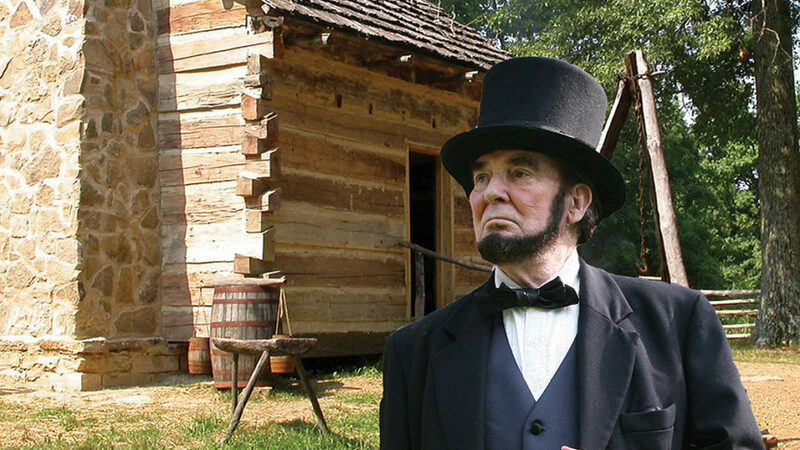 President Abraham Lincoln spent 14 years of his childhood in this part of Southern Indiana and you can experience it today at nearby historic attractions. Step back in time and walk the footsteps of a young honest Abe at Lincoln Boyhood National Memorial. The grave sites of Lincoln’s mother and the Cabin Site Memorial are found along Lincoln Boyhood Trail. The Visitor Center contains a variety of exhibits, a film screening about the Park, and a bookstore. Here, you’ll also find the Living Historical Farm. While Lincoln didn’t receive much of a formal education as a child, he learned from the people around him and took advantage of every opportunity growing up. At nearby Lincoln State Park, you can stroll along the woods as he did. The scenic park was established as a memorial to Lincoln’s mother, Nancy Hanks. Explore the many trails, Lake Lincoln, nature center, and more. At Lincoln Pioneer Village & Museum in Rockport, see the hutch he was said to have made with his father. The village brings history to life with 13 Lincoln-era replica cabins, such as the Pioneer Schoolhouse, the Lincoln Homestead Cabin, and Old Pigeon Baptist Church, filled with artifacts from the past. The charming area overflows with festive and historic finds. 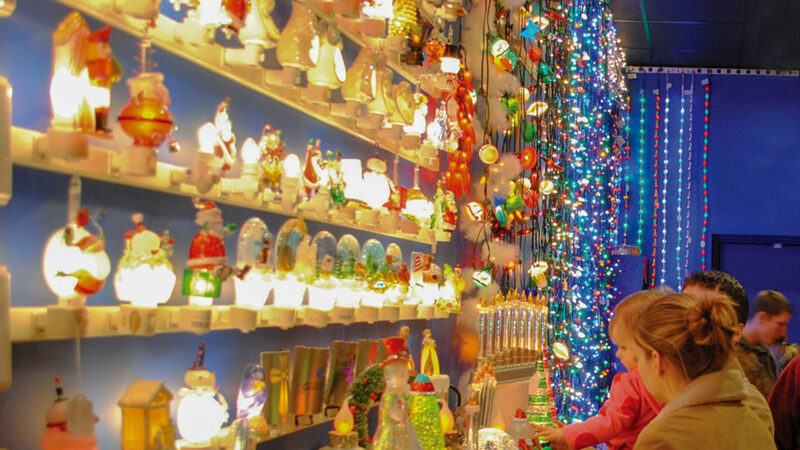 Whether you are a pioneer era history buff or a holiday season child-at-heart, Santa Claus, Indiana, and its nearby communities will transport you to a different time to enjoy. It is a Southern Indiana experience you won’t soon forget. Here are some other tips to plan your visit. 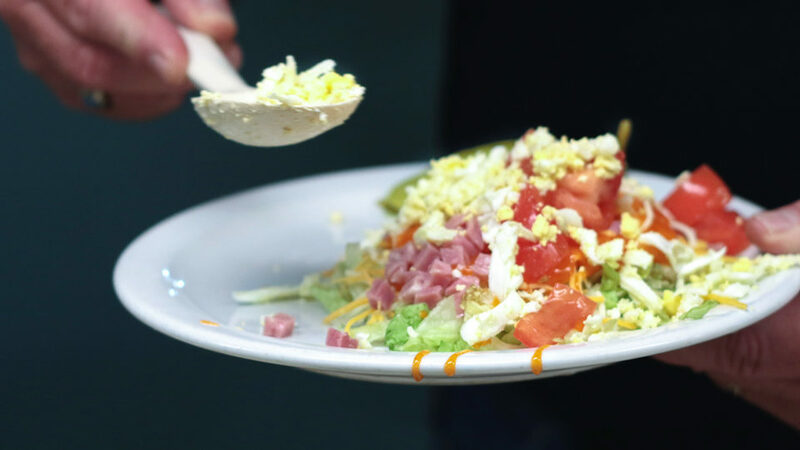 New diner, Darlena’s Lincolnland Restaurant, has quickly become a local favorite. 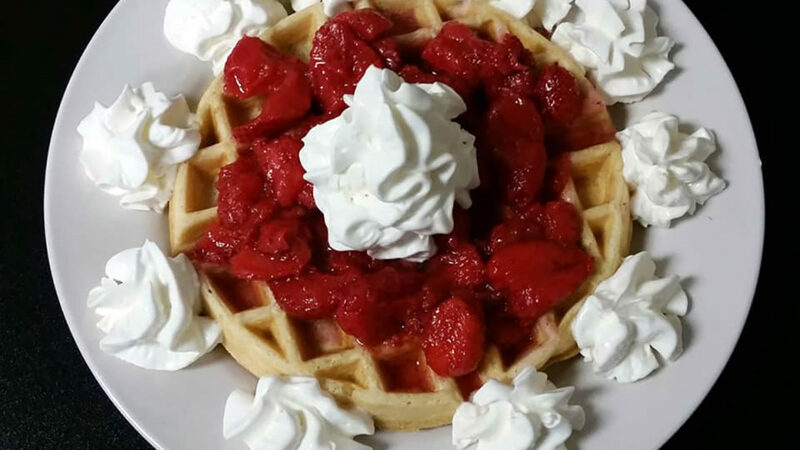 Start your morning off with Belgium-style waffles with fresh strawberries and whipped cream. While you’re savoring your meal, take a close look at the antique décor and vintage accents. The Chateau is known for its great selection of home-cooked meals. The quiet, cozy atmosphere is perfect for a midday break. Start with the salad bar. Then, try the baked chicken wrap or huge tenderloin sandwich. New Boston Tavern is a small eatery and one of the area’s hidden gems. Bring an appetite because portions are large and the food is delicious. 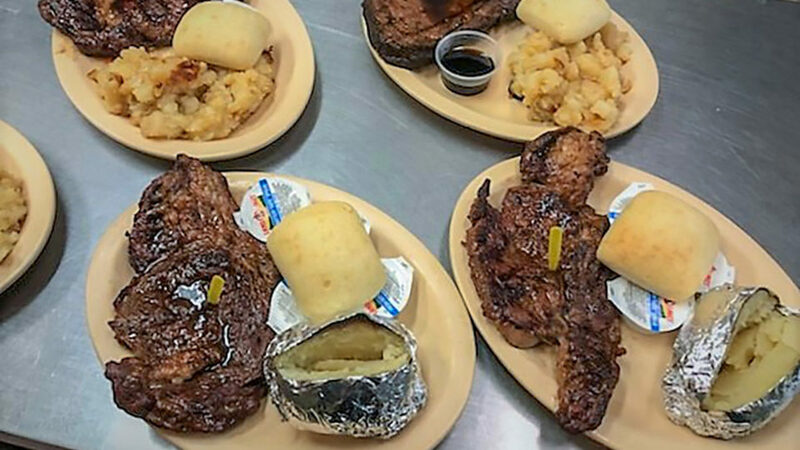 You’ll enjoy their famous tender and smoky pork chop. No other will ever taste the same. Christmas is not only in December in Santa Claus, Indiana. Start your Christmas shopping early at the gigantic Christmas Store and shop for nostalgic candies at the historic Santa’s Candy Castle. For adventurers looking for a little adrenaline rush, Holiday World & Splashin’ Safari delivers. 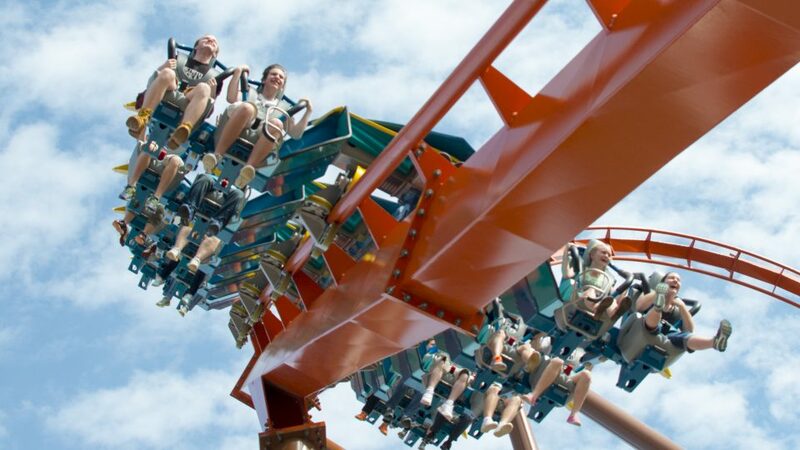 The Voyage, named #1 wooden roller coaster in the nation by TIME Magazine, shows what a good ol’ fashioned wooden coaster can do with a little modern technology. 200 years ago, a boy named Abe Lincoln worked, played and learned to read in the woods now designated as Lincoln State Park and Lincoln Boyhood National Memorial. The area boasts trails, an amphitheatre, living history farm, and more. 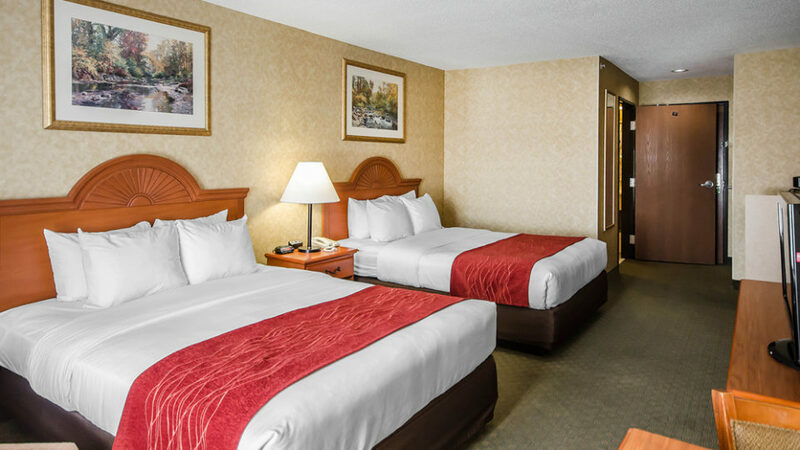 Comfort Inn & Suites offers a fitness center, indoor heated pool, guest laundry, and free Wi-Fi. Enjoy the free signature breakfast, featuring everything from eggs, waffles, meat, yogurt, fresh fruit, and more. Wake up like Christmas morning in Santa’s Lodge. 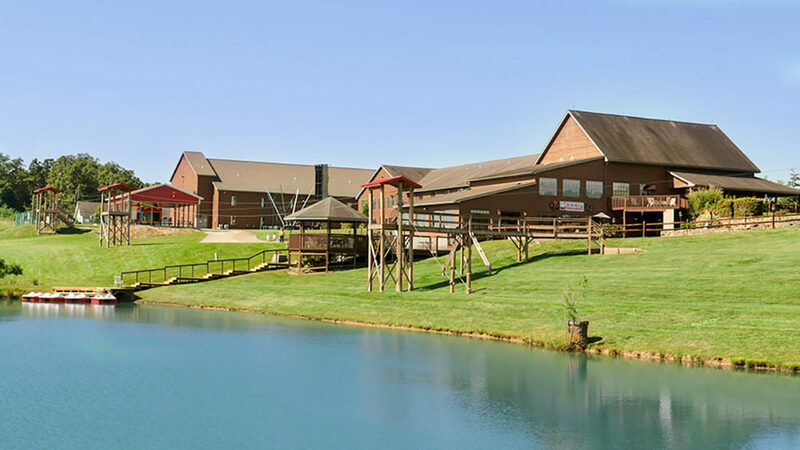 The lodge is home to an on-site restaurant and Santa’s Express Ziplines, a fun outdoor adventure. The convenient hotel amenities include cable TV, a whirlpool, indoor pool, Wi-Fi, laundry facilities, a shelter house, and more. 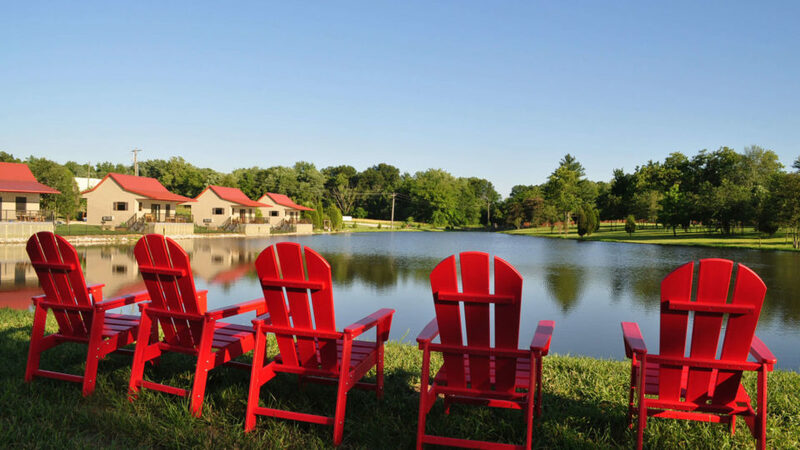 You can find luxurious cabins and cottages at Santa’s Lakeside Cottages, Lincoln Pines Lakefront Resort, and Lake Rudolph Campground & RV Resorts. The one-two bedroom accommodations make it the perfect home away from home. 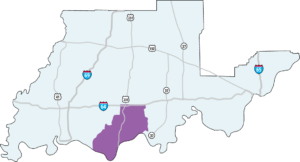 There are so many more adventures in this special area of Southern Indiana. For a peaceful and spiritual experience, visit Saint Meinrad Archabbey. Visitors have the opportunity to pray with the Benedictine monks. The stunning grounds are home to only one of two archabbeys in the United States and 11 in the world. Relax with a leisurely round of golf at the 18-hole Christmas Lake Golf Course. The championship course is known for its remarkable Southern Indiana landscape. No matter the pace, Santa Claus, Indiana, has an adventure waiting to be explored.